Power your business to the next level with web design and marketing services from ExtraDigital. Our online marketing and design solutions work hard attracting and converting your visitors into profitable leads and sales, increase brand awareness and help you grow your business. We have been providing marketing and design since 2002 for clients all over the world in a wide variety of sectors, providing everything from search engine optimisation and PPC services to first class professional web design, and social media marketing. With specialist skills in eCommerce and multilingual web design and marketing including SEO, PPC and Social Media. We have worked in over twenty languages for companies large and small, from Fortune 500 corporations through to local businesses. Our clients range from B2B and B2C businesses through to not for profit (including the government and charity sectors). 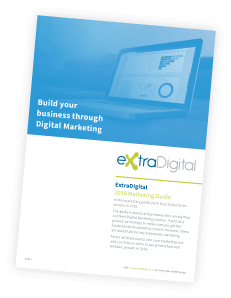 ExtraDigital's high ROI marketing campaigns have also been boosting eCommerce and online shops. Get in touch with us today on +44 (0) 1227 68 68 98 and find out how we can drive your marketing with our range of expert services and years of experience across a wide range of industries and languages.